The digital universal measuring device PEM555 is suited for measuring and displaying electrical quantities of a public electricity network. 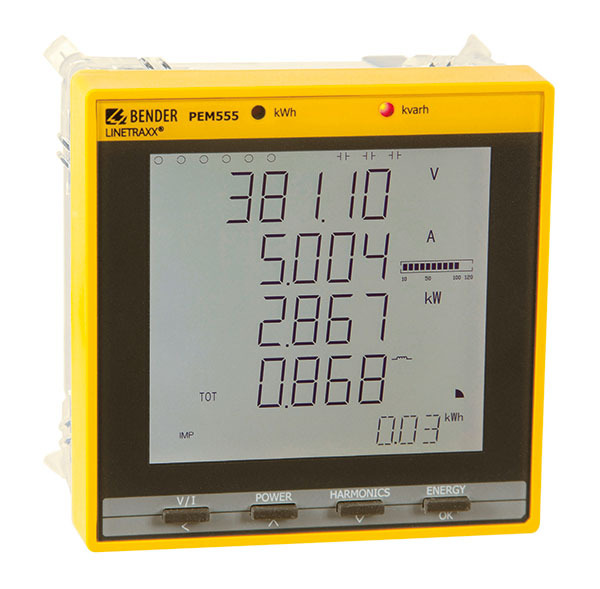 The PEM555 is able to perform current, voltage, energy consumption and performance measurements as well as displaying individual current/voltage harmonics for assessment of the power quality. The accuracy of active energy measurements corresponds to class 0.2 S in accordance with the reqirements of DIN EN 62053-22 (VDE 0418 Part 3-22). The current inputs are connected via external …/1 A or …/5 A measuring current transformers.